[0:58] <jda2000> I THINK I have correctly attached a camera module to my raspberry pi. What should I look for in dmesg or /var/log/system to verify that it is OK? [0:59] <jda2000> steve_rox, Thanks, should motion have found a /dev/vedio0? [1:01] <jda2000> steve_rox, OK, I'm followinf the enable instructions now. I think. [1:02] <linuxstb> jda2000: Unless things have changed in the last couple of months, there is no /dev/video device. You access the camera via the OpenMax or MMAL APIs. There are the raspivid and raspistill utils. [1:03] <jda2000> linuxstb, Ok, thanks. I think I am on the path to installing those. [1:23] <silent_tr> am i able to use xmbc aswell as using my pi for a personal web server? [1:26] <silent_tr> or when xmbc is being run will the web server be inactive? [2:10] <silent_tr> so what do people use their pi's for? [2:13] <silent_tr> that run alright? [2:21] <Marvin-RPi> is that on a windows machine? [2:24] <silent_tr> if i set up a hdd internal on my windows machine as a NAS would it still be available when the pc is in sleep mode then? [2:42] <silent_tr> would it not be cheaper to build another pi as a NAS with 2 drives attached? [2:42] <sono> what do we do with them? [2:42] <sono> i installed arch on one yesterday night, the performance was less than stellar..
[2:43] <sono> we're also using one to log digital power meter signals..
[2:43] <sono> seriously, video playback? [2:46] <silent_tr> how many you got left over sono? [2:50] <DBordello> I have two cables with 4 connectors each. I want to be able to control with a network protocol such that one is connected to itself, and then another is connected to itself. I was thinking a RasperryPi and some relays. Is there a better solution? [2:53] <SpeedEvil> Most relays will overload it. [2:54] <pksato> coil of relays is not direct connected to logic pins. [2:54] <DBordello> What about a reed relay? [2:55] <pksato> transistors are used to drive relay coils. 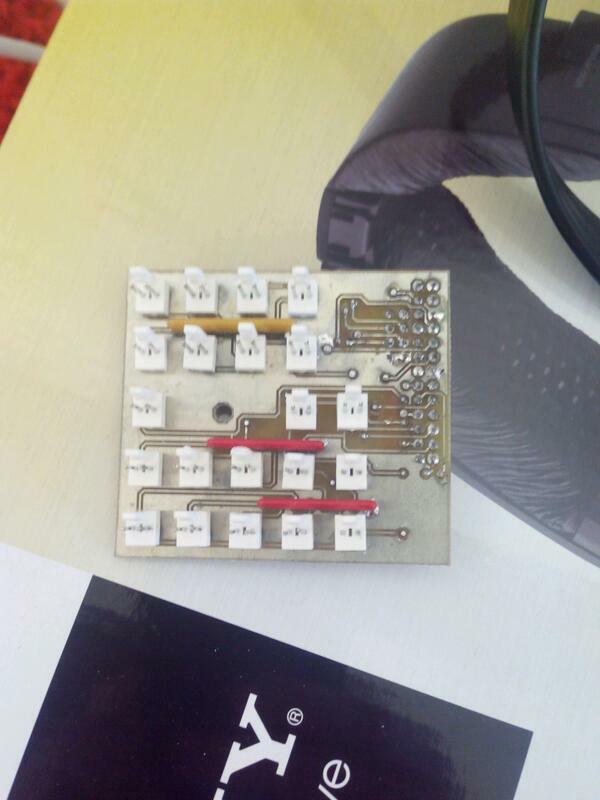 [2:55] <DBordello> so, some sort of solid state relay? [2:55] <pksato> reed relay is to very low power. [2:56] <DBordello> pksato, okay to drive from the GPIO pins? [2:56] <SpeedEvil> You can get relays low power enough to drive from the Pi. [2:59] <pksato> transistor, resistor and diode cost less that $1. [3:01] <DBordello> pksato, that is great. Nice find. [3:01] <SpeedEvil> The pi is not 5V. [3:02] <DBordello> Unfortunately, I need a pretty fast turn around. I am thinking rapid development. [3:03] <DBordello> pksato, how could I use a transistor, resistor and diode to do it? [3:03] <pksato> 5V of module not come from RPi, is a separated PSU. [3:03] <DBordello> SpeedEvil, thanks, I was thinking it was 5V. 3.3V right? [3:16] <DBordello> SpeedEvil, the advantage of a diode, resistor and transistor + relay is so that I can use the 5V to power the Relays coil? [3:16] <SpeedEvil> Which is almost all of them. [3:17] <DBordello> Would that change if I wanted to power 8 relays? [3:17] <pksato> repeat 8 times. 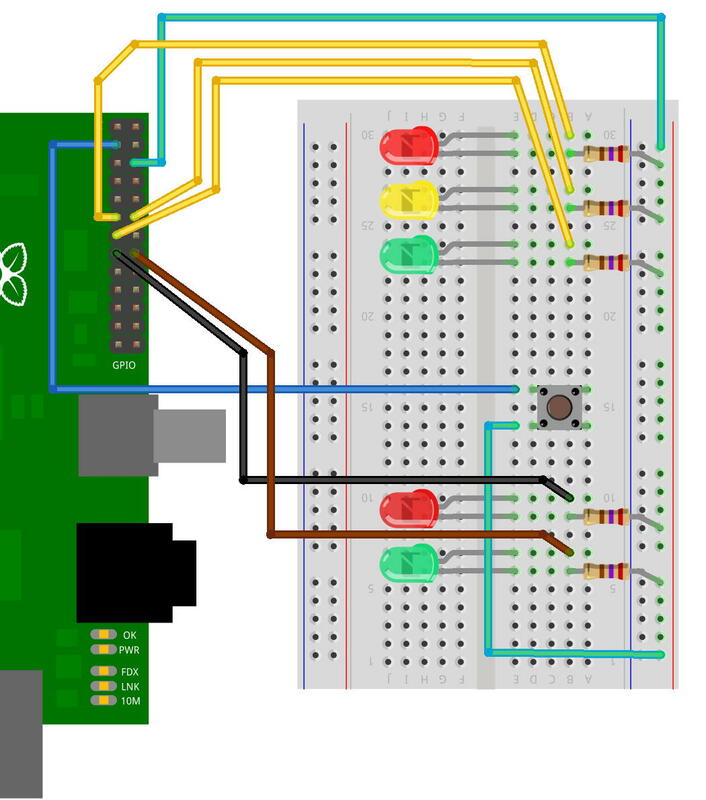 [3:18] <DBordello> could I use the same GPIO, transistor, resistor and diode? [3:18] <pksato> 8 relays, 8 transistor, 8 diodes, 8 resistors; 8 GPIO pins. [3:20] <pksato> if you which to activate 8 relays at same time. [3:31] <pksato> have lessions about basic interfacing. [3:31] <DBordello> I'll check it out, thanks. [3:50] <jda2000> Is it normal to see the image on the screen while raspistill is taking a picture? [4:11] <jda2000> and where might I find raspicam ? [4:30] <jda2000> nevermind about raspicam I guess that was a typo in the tuorial. [9:56] <StyxAlso> Does anyone here know how to compile kernel modules on Raspbmc? [9:56] <StyxAlso> I want to compile the module for my TV Tuner. It's fully supported under LInux, just need to know how to get the compilation done. [10:23] <StyxAlso> RaTTuS|BIG: Thank you. That looks like an excellent place to start. [11:19] <gordonDrogon> +1 (as they say) make sure everything is connected and powered on, going from the monitor back to the Pi. Power Pi up last. [11:30] <bluesm_> tig|: So it doesn't support "online plugins", to save power? [12:46] <andreiiar> Hello. I tzselect to Romania ok. This is 2 hours after greenwitch. I also have my clock sync with a ntp server. Why is my time 2 hours behind local time? Here it says EEST. [12:52] <andreiiar> Something is wrong here. [12:58] <andreiiar> It snaps in 2 hours early. Where is this difference cuming from? [13:01] <tig|> are you referring to Universal Time? [13:06] <tig|> what happens when you stop ntp and do the ntpdate? [13:09] <andreiiar> Let's see if it survives a reboot. And why didnt it work before? [13:09] <mrueg> ntpd -qg should work, too. [13:11] <andreiiar> Reboot date is still on the clock. Now. Why did I had to do that? [13:13] <pksato> andreiiar: RPi dont have a internal time clock. On reboot, its set time from internet. [13:14] <pksato> At boot time, need that internet is up. [13:18] <pksato> if time is critical, buy a <$5 RTC module. [13:18] <andreiiar> I know that, but it worked. [13:19] <andreiiar> It's not critical but it's nice to have. [13:19] <[Saint]> pksato: or simply ensure it is connected to the Internet or a local network with an NTP server. [13:20] <pksato> normally, ntp dont adjust big time diference. [13:21] <pksato> need manual adjust, ou other means like ntpdate before start ntp. [13:21] <[Saint]> If the time is out by +/- 10m it asks for manual adjustment iirc. [13:22] <pksato> or set date. [13:23] <andreiiar> ntpdate syncs to -5 hours before local time. [13:24] <pksato> wrong time zone? [13:25] <pksato> on root account or some system user. 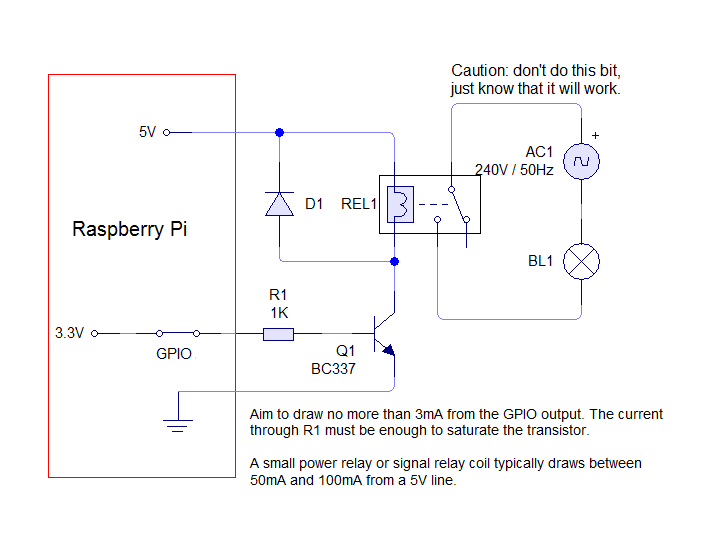 [13:39] <Pip> RaspberryPiBot, How did you know that? [13:42] <Pip> What can I do with it? [13:44] <Pip> Can I connect a 40" LCD HD TV with it? [14:56] <uhaul> same to you! [15:00] <bruxc> I just got my new toy in the mail and I am most certainly new to this fun loving hobby, both pi & linux. I'm currently just dabbling and getting familiar. but I have a quick question about how to SSH into my pi from my laptop. [15:00] <bruxc> Would there be anyone available to help this noob out? [15:01] <tig|> bruxc: ok, is your pi connected to the network? [15:01] <tig|> ie have you plugged it in with a network cable? [15:01] <bruxc> It's LAN'd into my laptop with network sharing enabled. [15:01] <bruxc> Would that work? [15:02] <tig|> probably, have you got an ip address for the pi? [15:02] <bruxc> I had one last night, I'm currently at work so the IP address probably changed, no doubt. [15:02] <bruxc> However, I was trying it last night and wasn't getting anywhere (currently using PuTTy). [15:03] <tig|> first question, what is running on the pi? [15:03] <bruxc> Raspbian I believe. [15:04] <bruxc> so ping the ip address I believe it to be? [15:05] <bruxc> Yup. I feel ya. [15:05] <bruxc> Bummer. Not getting a response. [15:06] <tig|> ok then that is not the right IP, can you go into the network and sharing options and see what ip it usually gives out? [15:08] <bruxc> I'm assuming the 4.60 is the bingo? [15:08] <uhaul> what is the ip address on the laptops interface? [15:09] <bruxc> so that's mine. [15:09] <bruxc> haha, right. I should have probably checked what mine was. [15:09] <bruxc> So theoretically, my lan one should be the one that my pi is on. [15:09] <bruxc> But that means it's getting an invalid IP address. [15:12] <bruxc> I'm currently prompted with: "Login as:"
[15:30] <bruxc> tig: I tried it but I am getting Access Denied Using Keyboard-interactive authentication then prompts me to type in the password again. Only, it appears to be frozen. [15:30] <bruxc> Nevermind, no longer frozen. But it's not taking the password. I haven't changed it either. Any ideas? [15:31] <tig|> you are getting the case right? [15:36] <bruxc> Is it normal to get the message (after typing in pi for the username) "State and federal statues make it a crime to gain unauthorized access into this computer system. Voilators will be prosecuted. System is for authorized business purposes only." [15:38] <tig|> can you describe your set up? [15:39] <bruxc> raspi with raspbian os, lan connected into my laptop. [15:39] <bruxc> made sure to enable SSH on raspi last night prior to coming in to work. [15:41] <bruxc> tig: I'm looking at a few articles about win8 network sharing w/ pi. [15:44] <bigx> i'm trying to use SDA and SCL pins as classic gpios with wiring pi, is it possible? [16:21] <shiftplusone> bigx, as i understand it, all you need to do is unload a module. [16:22] <bigx> thx shiftplusone, which one? [16:23] <gordonDrogon> bigx, yes, very possible - just remember that they have on-board 1.8K pull-ups. [16:24] <shiftplusone> Was my answer accurate enough there? [16:34] <gordonDrogon> bigx, if using 8 & 9 just connect a button to Gnd. [16:34] <gordonDrogon> don't bother with 3.3v or resistors. they already have 1.8K pull-ups. [16:36] <gordonDrogon> https://projects.drogon.net/wp-content/uploads/2012/06/tuxx_bb.jpg <-- button example on an I2C pin. [16:36] <gordonDrogon> sure it'll work - just enable the internal pull-ups on the others. [16:37] <gordonDrogon> and connect the buttons to Gnd. [16:40] <bigx> i don't get how I could use it the way you say gordonDrogon ? [16:43] <gordonDrogon> repeat 21 times. [16:43] <gordonDrogon> enable the internal pull-up resistors. inputs read high when button open, and read low when button pushed. [16:44] <Lude123> Hi, i am trying to compile a program which according to the how-to needs pdcurses dependencies. When i am trying to apt-get install pdcurses i get unable to locate package. What do i have to add in my sources to install that? [16:44] <gordonDrogon> pdcurses? new on one me - it's usuall ncurses .. ? [16:46] <Lude123> The manual of what i am trying to compile says: "When you compile on Linux, don't forget to compile the pdcurses dependencies." [16:47] <gordonDrogon> maybe you have to compile it yourself. [16:48] <shiftplusone> I'd just start compiling then see what error message it spits out (a missing header or library could be a hint to what package it might be in, if any)..
[16:58] <gordonDrogon> bigx, I was just giving you my suggestion of how to do it - since you have the pcb, then use it..
[17:04] <gordonDrogon> bigx, does your pcb work? [17:07] <Lude123> I am having a problem with my boost libs ("bnet.cpp:1912:31: error: ‘class boost::filesystem::directory_entry’ has no member named ‘filename’") is there a way to find out what version boost i need for this to get it to work? [17:20] <gordonDrogon> 15 & 16 will work ok - they're the serial port. [17:21] <gordonDrogon> you just need to be aware that 8 & 9 have on-board 1.8K pull-up resistors to 3.3v. [18:34] <DBordello> The raspbian URL is very slow, and the torrent doesn't work well. Does anybody have a good mirror for it? [18:37] <bruxc> anyone familiar with sharing network with windows 8? I have it enabled but there is an advanced settings that allows me to check mark different services. will this matter for SSH'ing into a pi? [18:40] <Lude123> Hi, i am trying to compile a program getting this error: "bnet.cpp:39:32: fatal error: boost/filesystem.hpp: No such file or directory" but when i try to install boost (want <1.46) with "sudo apt-get install boost1.38" i get: "Note, selecting 'libboost1.38-dev' for regex 'boost1.38'" can anyone point out my error? [19:29] <bruxc> Anyone have troubles with network sharing to pi on a Windows 8 setup? [19:43] <gordonDrogon> if it carries on working after that message I might be incluned to ignore it, but you might also want to disable the /dev/ttyAMA0 one. [19:52] <shiftplusone> SKyd3R, have you edited ld.so.preload? [20:11] <bruxc> GordonDrogon: Do I need to do anything more than just enable network sharing on my wifi adapter for the network sharing to work from my laptop to my pi (connected with a network cable)? [20:12] <shiftplusone> I don't know if there is such a thing, but ##windows? [20:12] <shiftplusone> then select something from a drop menu, but that may h ave changed. [20:27] <Waldi_> hi. i want to play sound out of a little speaker (connected to gpio's). how can i do that? [21:15] <Waldi_> hi. 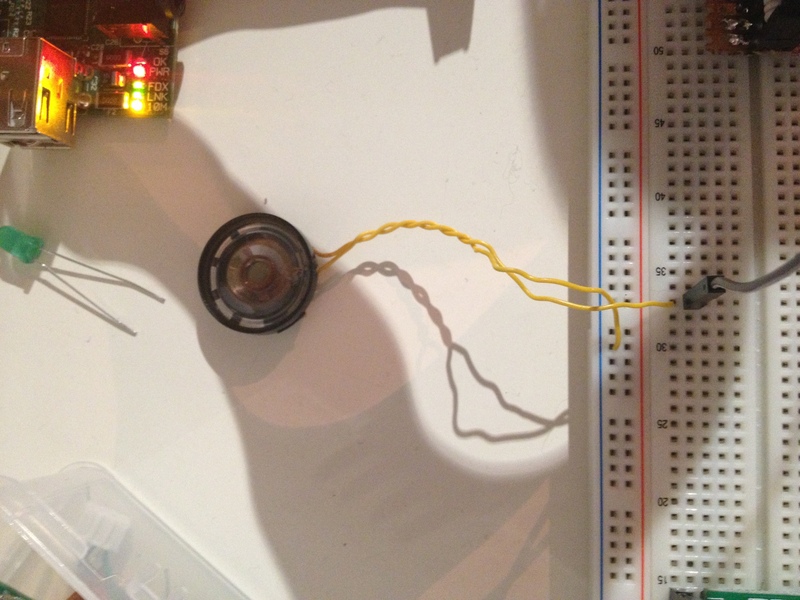 i want to play sound out of a little speaker (connected to gpio's). how can i do that? [21:22] <pksato> Waldi_: A buzzer? or a audio speaker? [21:25] <shiftplusone> and what sort of sound? [21:27] <Waldi_> i aready get a very high tone with gpio pwm 1 500 and so on..
[21:27] <pksato> Waldi_: more easy to connect on audio jack. [21:30] <shiftplusone> If you don't mind using a separate DAC chip, you'll be able to do better. [21:30] <shiftplusone> but again.... audio jack. 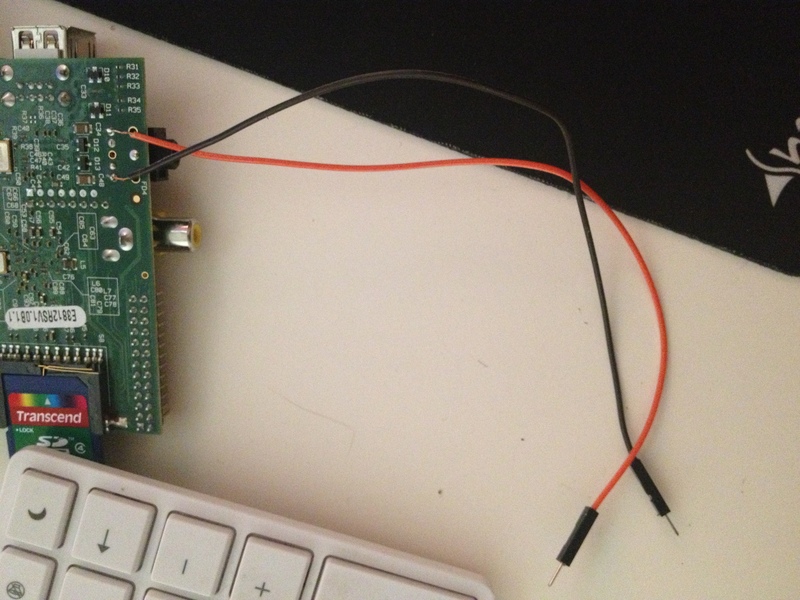 [21:32] <pksato> audio jack is a others two GPIO pins. But, configured to do a pcm/pwm audio DAC. [21:36] <shiftplusone> Is that a UK thing? [21:37] <shiftplusone> I am looking at the pi and if I didn't have a plug, I would consider just soldering some wires underneath the connector. [21:47] <pksato> convert it to Joule and to watts. [22:27] <steve_rox> it work okays? [22:27] <steve_rox> wont it be mono? [22:29] <pksato> Waldi_: and connect both wires to speaker? [22:31] <Waldi_> can i change volume in the gui? [22:31] <pksato> Waldi_: you need do connect one of wires to one of speaker terminal, and other speaker terminal to GND. [22:31] <gordonDrogon> Waldi_, still there? [22:32] <gordonDrogon> it uses the softTone library in wiringPi. [22:32] <pksato> for real stereo signal is work, but, if is mono, no. (in theory). [22:33] <pksato> need to feed audio to some amplifier to get loud sound. [22:37] <Waldi_> gordonDrogon do you have an example code for softtone? [22:38] <Waldi_> softtonecreate just initializes the pin doesn't it? [23:08] <Encrypt> Waldi_, By the way, whyis it usleep ? [23:09] <Waldi_> or can i do that with sleep? [23:09] <Encrypt> 30000ms is 30s, right ? [23:10] <Encrypt> Just add : "#include <unistd.h>"
[23:11] <Waldi_> using sleep for milli? [23:16] <Encrypt> Waldi_, Did you include the library? [23:26] <gordonDrogon> rather than usleep() you can use delay() for milliseconds, and delayMicroseconds() for �S. [23:27] <Waldi_> gordonDrogon is it possible to play a audio file that way? [23:27] <gordonDrogon> you might want to create an array or 2 to hold the tones in too, rather then run them in seauence. [23:28] <gordonDrogon> Waldi_, not really - it's just a very simple squarewave generator.